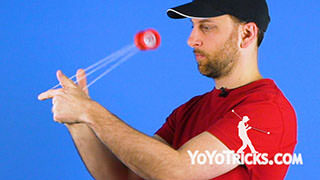 Learn how to do the Wrist Mount Yoyo Trick. Just like that. 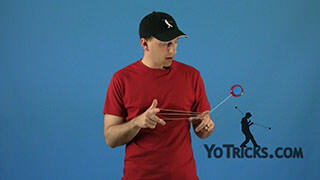 Now, to do this trick, what you are going to do is start throwing just like you are getting into a 1.5 mount. 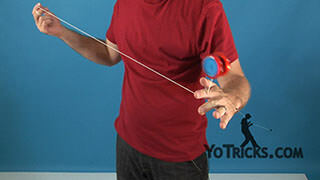 Except, when the yoyo comes around your opposite hand index finger, as it passes around your throwhand you are going to do over your wrist instead of your index finger. 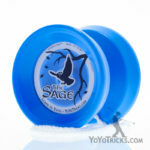 So it looks like this. 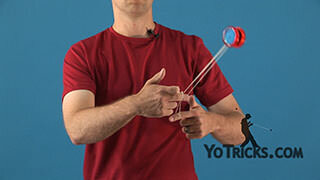 You go around your index finger, and then around your throwhand wrist. 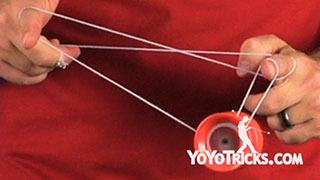 It is important to make sure that the string and the yoyo goes around behind your thumb, as that opens up the triangle so that you have the proper place to be able to land. 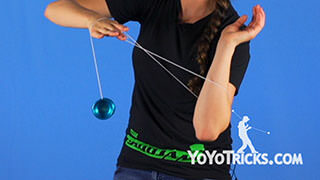 Now, to land the yoyo into the mount, you are going to swing over your opposite hand index finger and swing the yoyo in between this triangle, onto the string that is connected to the yoyo. Just like so. 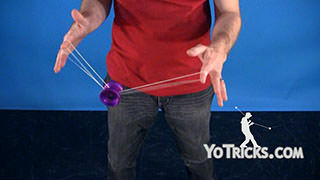 Now, from here, the easiest way that you can dismount from this trick is to put your index finger on this back string and then pop the yoyo out, towards yourself, like this. 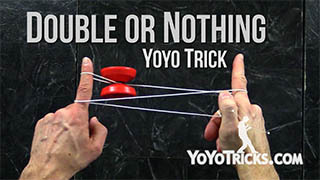 If you let all the string out, you will see that it will come out with no knots or anything, like that. 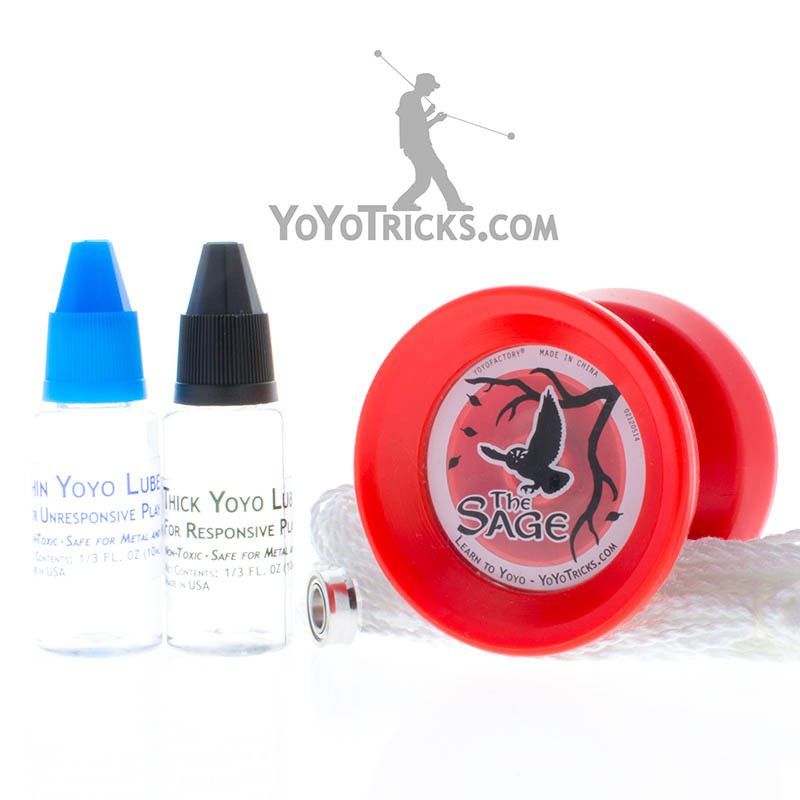 Now it is very important when you are doing this to make sure that you pop the yoyo out toward yourself because if you go away from yourself you actually will get a knot, and of course that can be problematic. 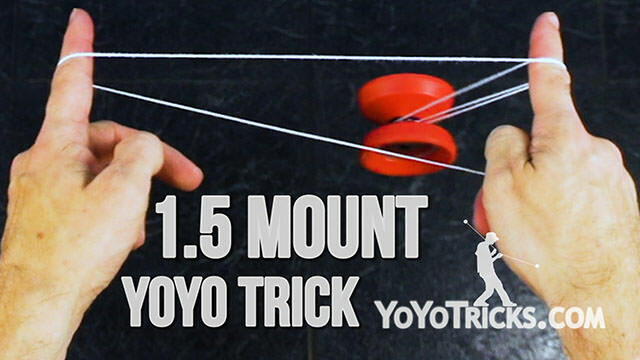 So you want to make sure that you are in the mount, press into the string, and let the yoyo off towards yourself. 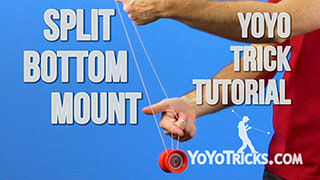 Another way that you can get out of the mount is to actually pop the yoyo back through the triangle, so you can put your finger in and pop the yoyo back out the way that it came. 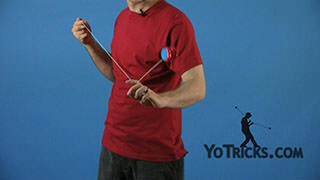 Both of those are fine ways to get out of the mount, but there is actually a correct way to get out of the mount that is part of the trick, so I will show you how to do that. 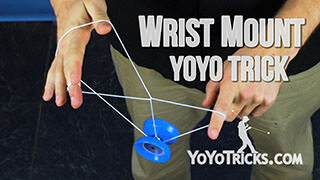 You are going to get into your wrist mount. 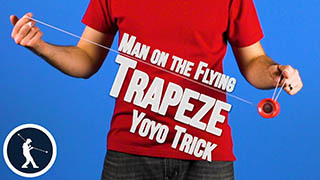 The first thing I will do is teach you how to do the underpass which is very important. So this is the wrist mount with your one hand. 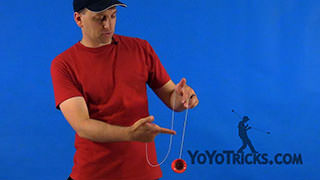 To do the underpass, you are going to stick your index finger into this back string, and you are going to roll the yoyo over your index finger, onto the same string. So it looks like that. 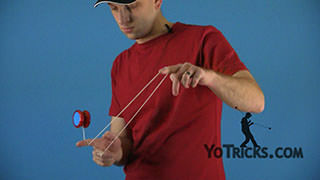 So now the yoyo is in the string and I have got my opposite hand index finger in. So now I am still in the wrist mount but with both hands. 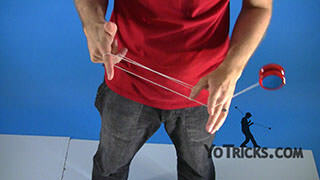 This is important to get used to and to get good at because most of the wrist mount tricks are going to occur from here. 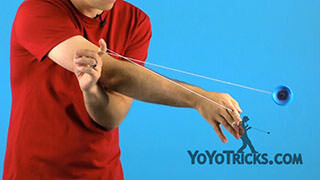 To continue the dismount, you are going to take your throwhand, curve your wrist and you will see that it separates these two back strings. 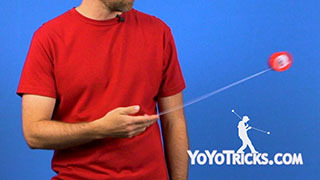 You are going to put your index finger against those strings. 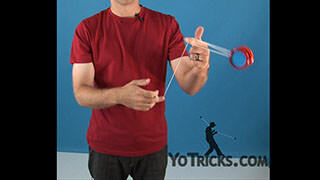 Then you are going to roll the yoyo onto the string closest to you onto the back string. 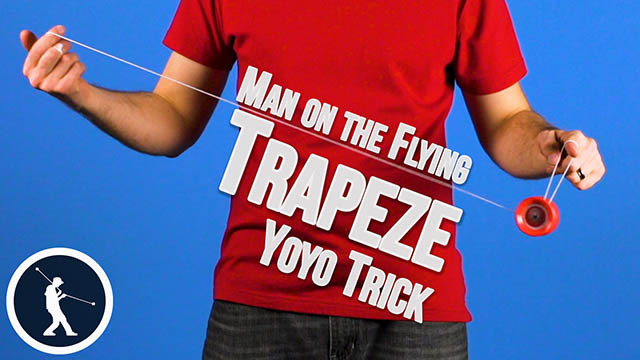 You will see if you let the string off your index finger, pull your hand out, that gets you out without and knots and you are right back into a trapeze. And that is how you do the correct dismount, and once you put it together and you can mount the yoyo and dismount it correctly, that is how you do the Wrist Mount.